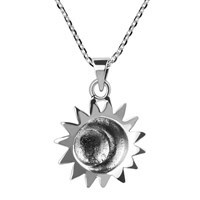 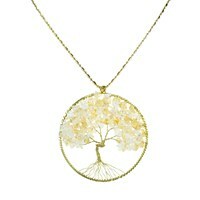 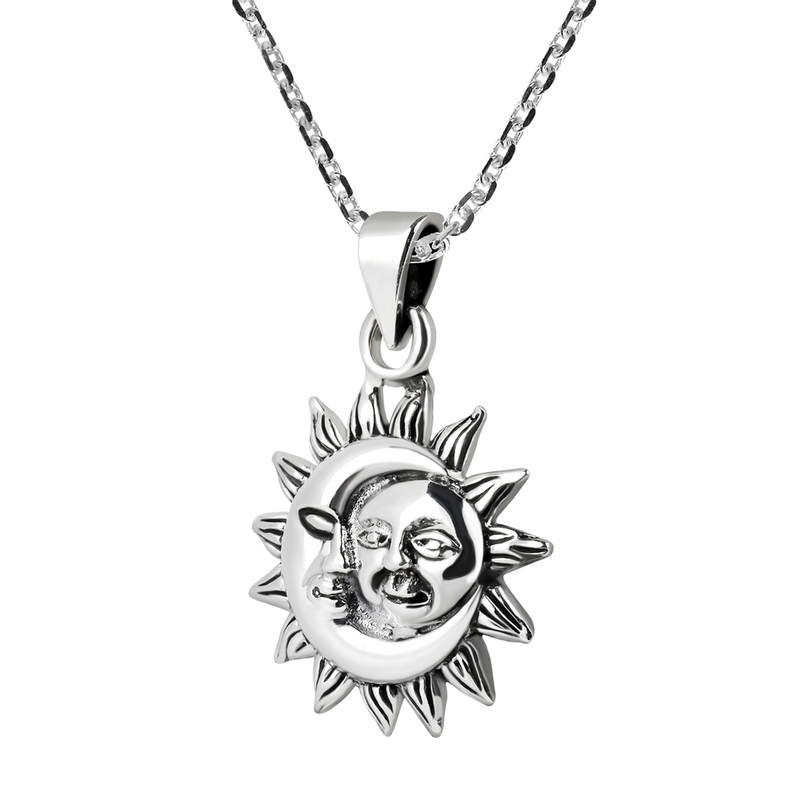 Sun and moon combine in this beautiful pendant handmade by Thailand's expert silversmith Khun O. 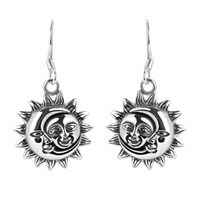 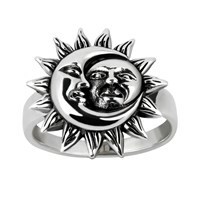 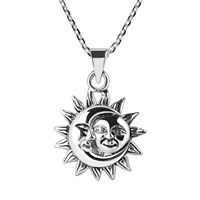 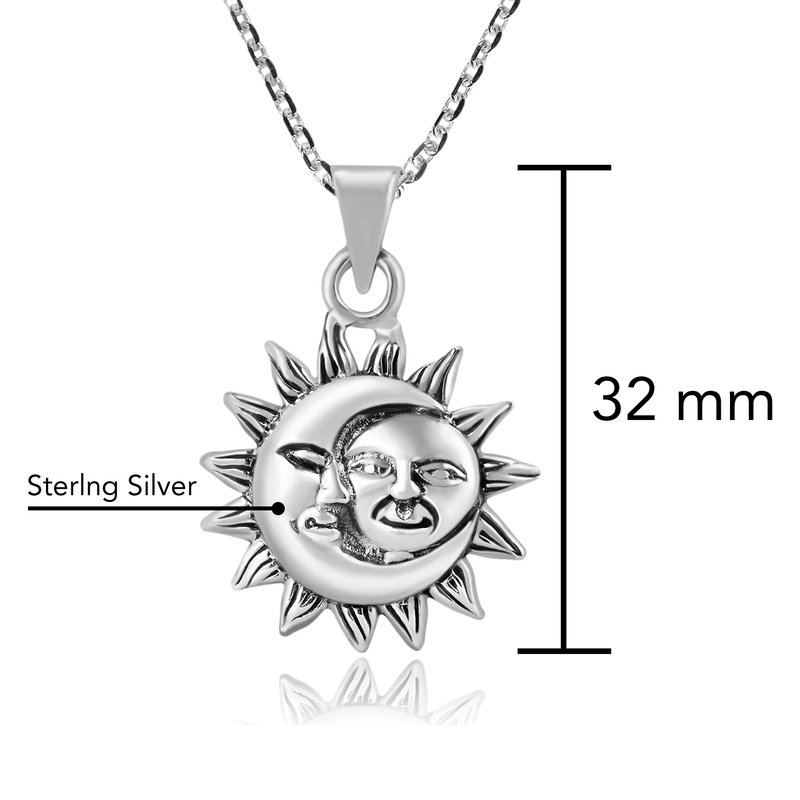 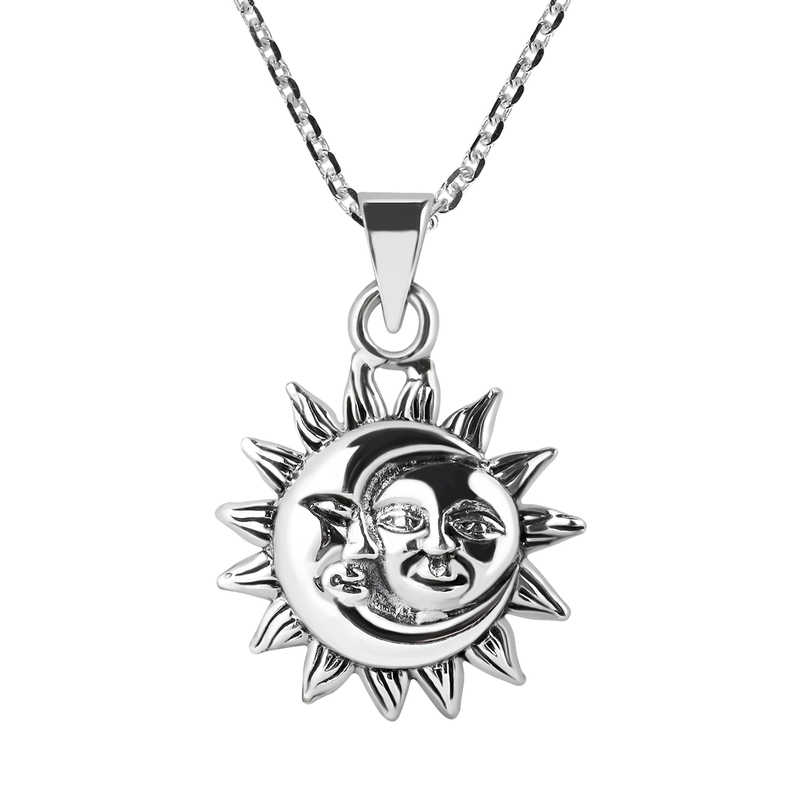 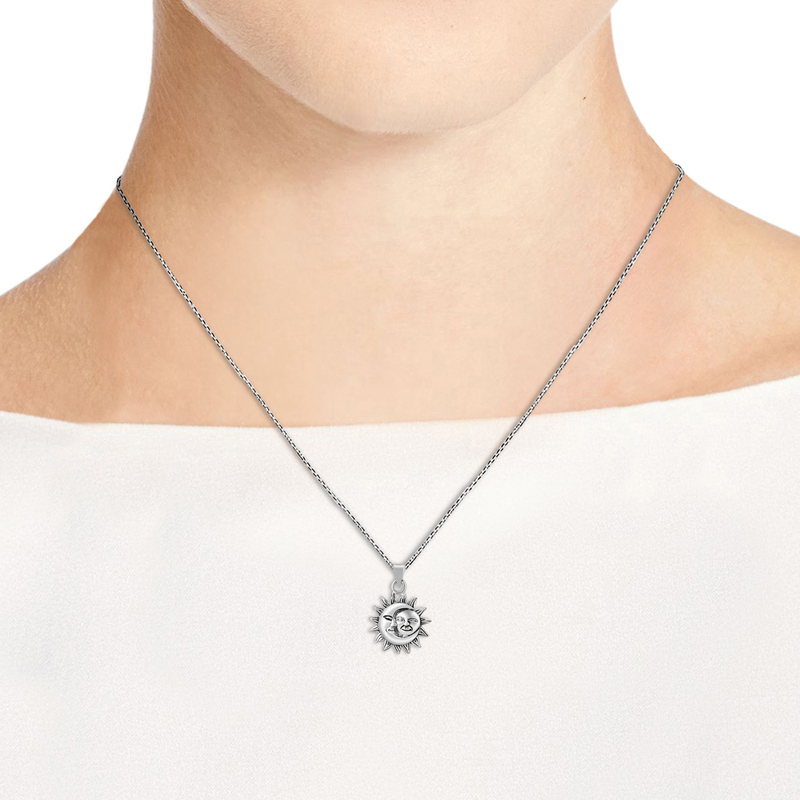 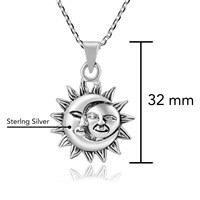 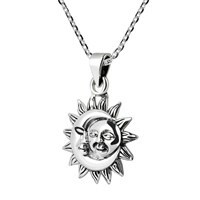 The pendant features a personified version of the a crescent moon and celestial shining sun engraved into sterling silver .925 with polished and oxidized contrasts. 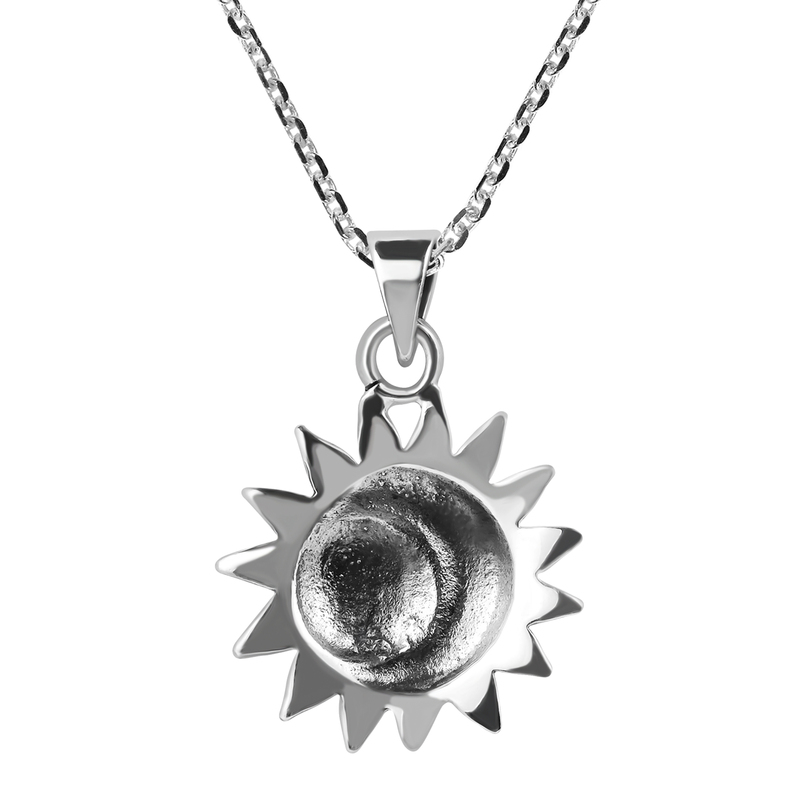 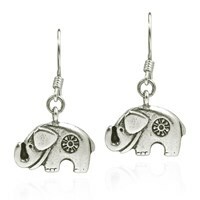 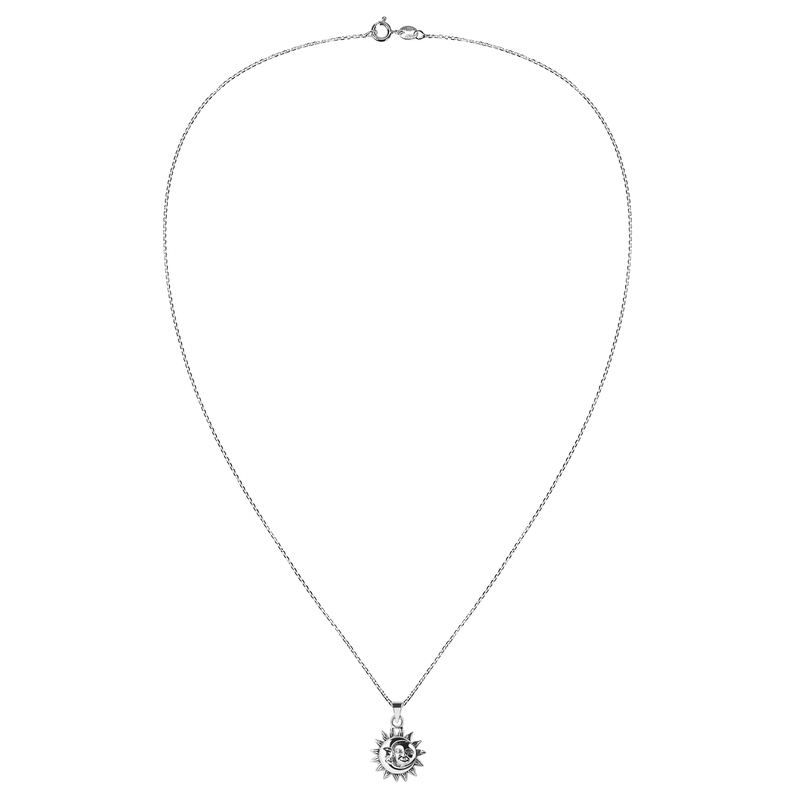 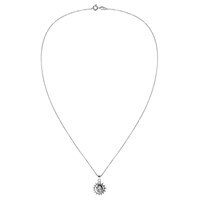 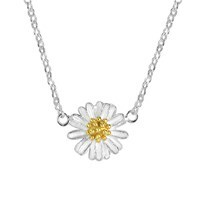 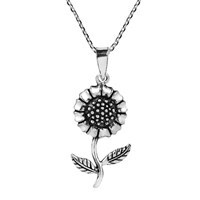 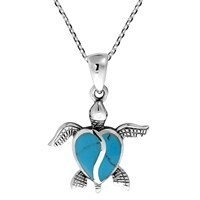 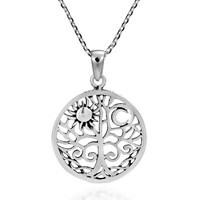 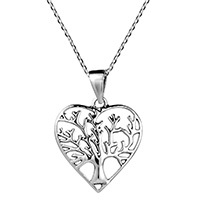 The medallion is over 1 inch in diameter and hangs along an 18 inches silver cable chain with spring ring closure.